Soil Description: Limestone-based, Sandy, Sandy Loam, Medium Loam, Clay Loam, Clay, Caliche type"
"Guaiacum angustifolium (Texas lignum-vitae) is evergreen with beautiful purple flowers and is a good honeybee tree. It grows 8 to 10 feet. Here is more information from Aggie Horticulture." "Unfortunately, it is rarely available in nurseries." 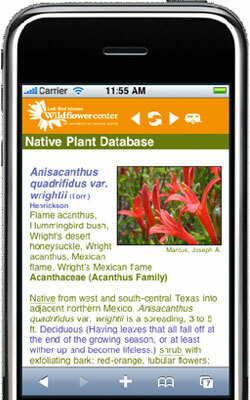 In the process of trying to find some resources that could help you, we searched on "plant society of Southwest Texas" and found this wonderful website Find Native Plants. Scrolling down that webpage, we found a link to the Uvalde Chapter of the Native Plant Society of Texas. Uvalde is one of the counties shown on the USDA Plant Profile Map listed above as having Guaiacum angustifolium (Texas lignum-vitae) growing there natively. You might try contacting them to see if they can recommend a source for the seeds you are looking for.